Our research is focused on determining the mechanisms of pancreatic beta cell dysfunction and death, with the goal of identifying new molecular targets, drugs and therapeutic strategies for the treatment of type 1 and type 2 diabetes. 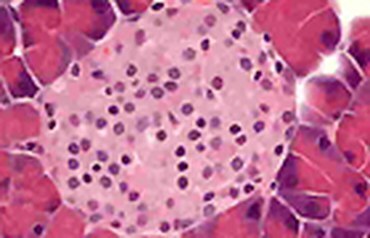 Previous studies in the Laybutt lab have provided major insight into the adaptation and maladaptation of beta cells during the progression to type 2 diabetes. In a series of studies we demonstrated the importance of beta cell dedifferentiation in impaired insulin secretion. Recently we identified Id1 as an inhibitor of insulin secretion and beta cell differentiation, providing a novel molecular link between excess fat and beta cell failure in type 2 diabetes. Id1 is a family member of transcriptional regulators previously unrecognised in beta cell dysfunction and diabetes. Our work has also provided major insight into the role of stress within the endoplasmic reticulum (ER) cellular compartment in beta cell survival. We established the existence of ER stress in people with type 2 diabetes and demonstrated for the first time that ER stress was required for beta cell death induced by fatty acids. Our recent studies on the role of ER stress in beta cell death induced by pro-inflammatory cytokines have important implications for the understanding and treatment of type 1 diabetes. Our current research is focused on determining the role of the adaptive unfolded protein response in beta cell compensation and protection against type 2 diabetes under conditions of obesity. We are also investigating novel interactions of the unfolded protein response with other signalling networks activated as part of the immune system in type 1 diabetes.